4) 盖志琨, 朱敏. 显微CT技术在古生代鱼类研究中的应用. 生命科学, 2013, 25(8): 779-786. (Gai, Z.-K. & Zhu, M. Application of micro-CT in the research on Paleozoic fishes. Chinese Bulletin of Life Sciences, 2013, 25(8): 779-786). 8) Zhu, M., Liu, Y.-H., Jia, L.-T. & Gai, Z.-K. A new genus of Eugaleaspidiforms (Agnatha: Galeaspida) from the Ludlow, Silurian of Qujing, Yunnan, Southwestern China. Vertebrata PalAsiatica, 2012, 50(1): 1-7 (朱敏, 刘玉海, 贾连涛, 盖志琨. 云南曲靖志留纪罗德洛世真盔甲鱼类一新属. 古脊椎动物学报, 2012, 50(1): 1-7.). 12) 赵文金, 王念忠, 朱敏, 贾连涛. 西秦岭地区志留/泥盆系过渡带中的鱼类微体化石及其组合序列. 古脊椎动物学报, 2012, 50(4): 309-321（英文）. 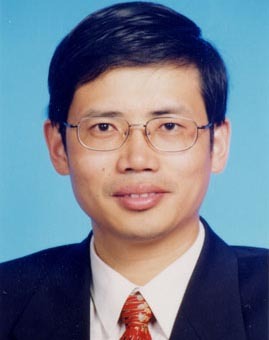 (Zhao, W.-J., Wang, N.-Z., Zhu, M. & Jia, L.-T. The microvertebrate remains and assemblage sequences across Silurian/Devonian Transition in West Qinling, China. Vertebrata PalAsiatica, 2012, 50(4): 309-321). 17) Zhu, M. & Young, G.C. (eds.). Special Issue – Middle Palaeozoic vertebrate biogeography, palaeogeography and climate (IGCP Project 491). Palaeoworld, 2010, 19(1-2): 1-205. Elsevier. 19) Zhu, M., Wang, W. & Yu, X.-B. Meemannia eos, a basal sarcopterygian fish from the Lower Devonian of China –expanded description and significance. In: Elliott, D. K., Maisey, J. G., Yu, X.-B. &Miao, D.-S. (eds. ), Morphology, Phylogeny and Paleobiogeography of Fossil Fishes. München: Verlag Dr. Friedrich Pfeil, 2010: 199-214. 20) Jia, L.-T., Zhu, M. & Zhao, W.-J. A new antiarch fish from the Upper Devonian Zhongning Formation of Ningxia, China. Palaeoworld, 2010, 19(1-2): 136-145. 21) Qu, Q.-M., Zhu, M. & Zhao, W.-J. Silurian atmospheric O2 changes and the early radiation of gnathostomes. Palaeoworld, 2010, 19(1-2): 146-159. 24) Young, G. & Zhu, M. Introduction. Middle Palaeozoic vertebrteate biogeography: Palaeogeographya and Climate. Palaeoworld, 2010, 19(1-2): 1-3. 25) Wang, W., Qu, Q.-M. & Zhu, M. A brief review of the Middle Palaeozoic vertebrates from Southeast Asia. Palaeoworld, 2010, 19(1-2): 27-36. 26) Yu, X.-B., Zhu, M. & Zhao, W.-J. The origin and diversification of osteichthyans and sarcopterygians: rare Chinese fossil findings advance research on key issues of evolution. Bulletin of the Chinese Academy of Sciences, 2010, 24(2): 71-75. 27) Zhao, W.-J. & Zhu, M. Siluro-Devonian vertebrate biostratigraphy and biogeography of China. Palaeoworld, 2010, 19(1-2): 4-26. 31) 朱敏. 脊椎动物起源与早期演化. 见: “10000个科学难题”地球科学编委会. 10000个科学难题, 地球科学卷. 北京: 科学出版社, 2010, 191-195. (Zhu, M. The origin and early evolution of vertebrates. In: 10000 Selected Problems in Sciences-Earth Science. Beijing: Science Press, 2010: 191-195). 50) Zhu, M. & Gai, Z.-K. Phylogenetic relationships of galeaspids (Agnatha). Frontiers of Biology in China, 2007, 2(1): 1-19. 58) Dupret, V. & Zhu, M. A Chinese origin for Phyllolepida (Placodermi, Arthrodira)? In: Yang, Q., Wang, Y.-D. & Weldon, E.A. (eds. ), Ancient life and modern approaches – abstracts of the 2nd International Palaeontological Congress. Hefei: University of Science and Technology of China Press, 2006: 329-330. 64) Zhu, M. & Yu, X.-B. Lower jaw character transitions among major sarcopterygian groups – a survey based on new materials from Yunnan, China. In: Arratia, G.; Cloutier, R. & Wilson, M. V. H. (eds. ), Recent advances in the origin and early radiation of vertebrates. —Honoring Hans-Peter Schultze. München: Verlag Dr. Friedrich Pfeil, 2004: 271-286. 71) 朱敏. 地球上的第一条鱼; 戴盔披甲的鱼类; “活化石”拉蒂迈鱼; 鱼石螈的故事. 见: 李传夔, 王原(主编), 史前生物历程. 北京: 北京教育出版社/北京少年儿童出版社, 2002: 1-23. 73) Zhu, M. & Schultze, H.-P. Chapter 17, Interrelationships of basal osteichthyans. In: Ahlberg, P. (ed. ), Major Events in Early Vertebrate Evolution. London: Taylor & Francis, 2001: 289-314. 76) Zhu, M. Catalogue of Devonian vertebrates in China, with notes on bio-events. Courier Forschunginstitut Senckenberg, 2000, 223: 373-390. 77) Zhu, M., Wang, N.-Z. & Wang, J.-Q. Devonian macro- and microvertebrate assemblages of China. Courier Forschunginstitut Senckenberg, 2000, 223, 361-372. 78) Zhu, M. & Wang, J.-Q. Silurian vertebrate assemblages of China. Courier Forschunginstitut Senckenberg, 2000, 223, 161-168. 88) 王俊卿, 朱敏. 内蒙古奥陶纪脊椎动物化石的发现. 科学通报，1997, 42(11): 1187-1189. 90) Zhu, M. The phylogeny of the Antiarcha (Placodermi, Pisces), with the description of Early Devonian antiarchs from Qujing, Yunnan, China. Bulletin Museum National d'Histoire Naturelle, Paris, Section C, 1996, 18 (2-3): 223-347. 91) Zhu, M. Studies on the Devonian fishes of South China. Science Foundation in China, 1996, 4 (1): 47. 97) Zhu, M. & Fan, J.-H. Youngolepis from the Xishancun Formation (Early Lochkovian) of Qujing, China. Geobios, M.S., 1995, 19: 293-299. 103) Chang, M.-M. & Zhu, M. A new Middle Devonian osteolepidid from Qujing, Yunnan. Memoir of the Association of Australasian Paleontologists, 1993, 15: 183-198. 105) Zhu, M. New information on Diandongpetalichthys (Placodermi: Petalichthyida). In: Chang, M.-M., Liu, Y.-H. & Zhang, G.-R. (eds. ), Early Vertebrates and related Problems of Evolutionary Biology. Beijing: Science Press, 1991: 179-194.